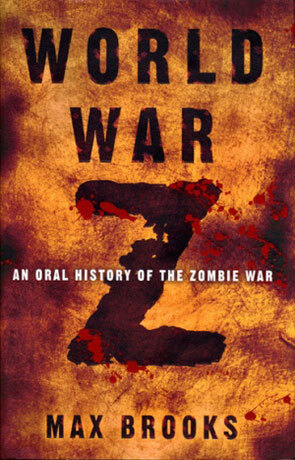 A Zombie novel by the son of comic legend Mel Brooks, World War Z is told as a series of interconnected interviews from survivors of the zombie war all over the world. This method of storytelling is very different, there is no central protagonist or contiguous plot, instead we learn about the story in piecemeal, through the eyes of witnesses as they are interviewed. There is a general progression to the story though, starting with the first outbreaks and ending after the war has been won and it's not even a secret that we do in fact win the war, we are told this right at the very beginning. There is a great cross section of characters too, from the everyday guy in the street to the high ranking military with everything in between. This very different style wouldn't have worked had the narrative not been exceptionally well written, it is completely gripping and the short chapters break up the novel nicely, speeding up the reading process and moving the overall story forward very effectively. This slowly unveiled story is also quite powerful and manages to highlight the best and worst elements of human society while Brooks does a great job of describing the lurching undead in great detail; even as far as explaining why most of the modern equipment and tactics of the present day military would just not work against such a threat, providing some great ideas on just what would work and how you could build a future "zombie proof" society. Predictably the story is a little biased towards America and does fall foul of using a number of stereotypes for some cultures - including little old blighty which see's very limited coverage (the steadfast bravery of the queen was a nice touch though). Ideally I would have liked to see a greater balance rather than a more predictable America wins the day approach but this is actually more muted than most American led fiction - indeed the book isn't shy at pointing out major mistakes that the country makes and it didn't stop me from enjoying the book. There is a also a very gritty, realistic feeling to the whole novel, in part due to the excellent dialogue combined with this reporter, interview approach. The author has clearly gone to a lot of trouble to carry out a great deal of research, not just in terms of military but also the different regions around the world and how each one would possibly cope with such an outbreak. World War Z is currently being made into a big blockbuster film starring Brad Pitt with a script written by none other than Babylon 5 creator J. Michael Straczynski. I can't help feeling though that this would have been so much better as a TV series as we could have had maintained the "interview" format with each one representing an episode of the show. I seriously enjoyed this book, the short chapters mean the pace never suffers and when you combine the excellent narrative and great subject matter reading World War Z was an extremely enjoyable experience. Written on 28th December 2011 by Ant.